TORONTO, ONTARIO (March 6, 2017) – Toyota Canada Inc. (TCI) announced today that, by popular demand, kartSTART Presented by Toyota will continue its nationwide tours for another three years. 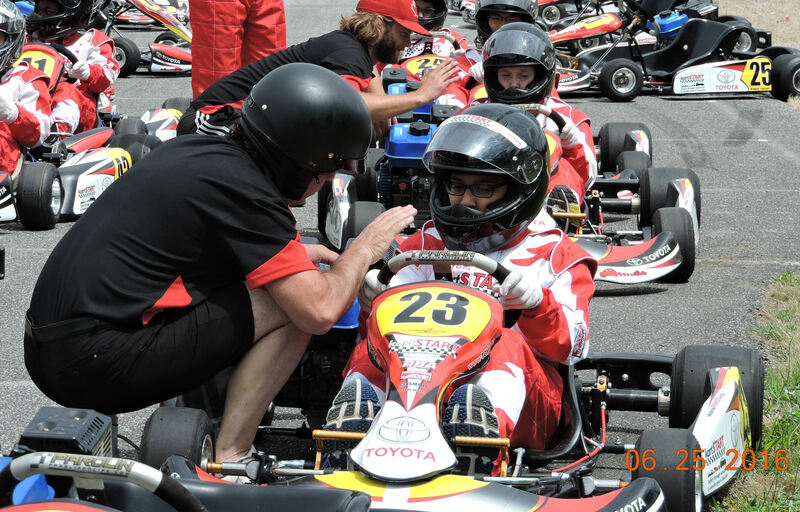 The ASN Canada FIA safety endorsed program has helped about 4,000 Canadian youth get behind the wheel of a motorized vehicle – most of them for the first time. “I am beyond thrilled that we are able to provide this program to the youth of Canada for another three years,” kartSTART Presented by Toyota owner Russ Bond said. “Toyota Canada has been a fantastic partner in this program from Day 1. It is their vision and leadership that has seen it grow to this level. I can’t wait to get this year started,” Bond added. For 2017, kartSTART will build on last year’s pilot experience at Westerner Park in the Red Deer Area: its first ‘mobile’ track layout. Mobile tracks allow kartSTART to reach more people in more cities, and Canadians can look forward to more mobile locations in the coming years. This includes Winnipeg, Manitoba as an additional mobile stop on the tour starting this summer. There are also some other program enhancements that will be introduced this year. Participants are now able to register for all summer tour dates for the 2017 program. The schedule and registration details can be found at www.kartSTART.ca.